Founded by the entrepreneur, Almir Figueiredo 54, local resident of São Vicente (SP) and big fan of Rock 'N' Roll for over 30 years, Fanzmosis has emerged as a fanzine, with an initial goal of contact as many Brazilian fans to try to bring Ozzy Osbourne back to Brazil. According to Almir, as the fanzine had a limited and difficult distribution drawing, in September 1996 was created the virtual fan club www.fanzmosis.com.br. After receiving the support of various media that began to spread the work of Fanzmosis, on January 30, 1997 came the big surprise to receive a letter from the Ozzy thanking the creation of the fan club. The contact is maintained to this day with a Madman team in California. Currently, Fanzmosis besides being a fan club is a Brazilian site that publishes shows and tours of Ozzy, Black Sabbath, events and festivals, under the command of its founder Almir Figueiredo, who recounts that his experience in the Rock 'N' Roll universe started in 1975 when he met, among other bands, Black Sabbath: "(…) when I heard Paranoid and War Pigs I freaked out. It is impossible not to like the work of these four rock monsters. " Virada Cultural SP 10 anos - Reporting and photography, Meet & Greet with Uriah Heep, Sao Paulo – Brazil. Press Conference with Black Sabbath, Ozzy Osbourne and Geezer Butler, at Hotel Fasano, Rio de Janeiro - Brazil + Meet & Greet. Interview with Ian Anderson of Jethro Tull. Exclusive reporting, photography and backstage with Rick Wakeman & "English Rock Ensemble " at the Teatro Bradesco, Sao Paulo - Brazil + Meet & Greet. Exclusive interview with guitarist of Firewind and Ozzy Osbourne, Gus G.
Exclusive interview with keyboardist Headspace and Ozzy Osbourne, Adam Wakeman. Press Conference with Ozzy Osbourne at Hotel Tivoli, Sao Paulo - Brazil + Meet & Greet. Exclusive interview with drummer Tommy Clufetos, published in partnership with the Rock Brigade Magazine. Exclusive interview with bassist Rob Von Blasko, published in partnership with the Rock Brigade Magazine. Exclusive interview with guitarist Gus G, published in partnership with the Rock Brigade Magazine. Exclusive interview with keyboardist Adam Wakeman for Fanzmosis, published in partnership with the Rock Brigade Magazine. Exclusive interview with Ozzy Osbourne for Fanzmosis, published in partnership with the Rock Brigade Magazine. Press Conference with Ozzy Osbourne at the Sheraton Hotel, Rio de Janeiro-Brazil + Meet & Greet. 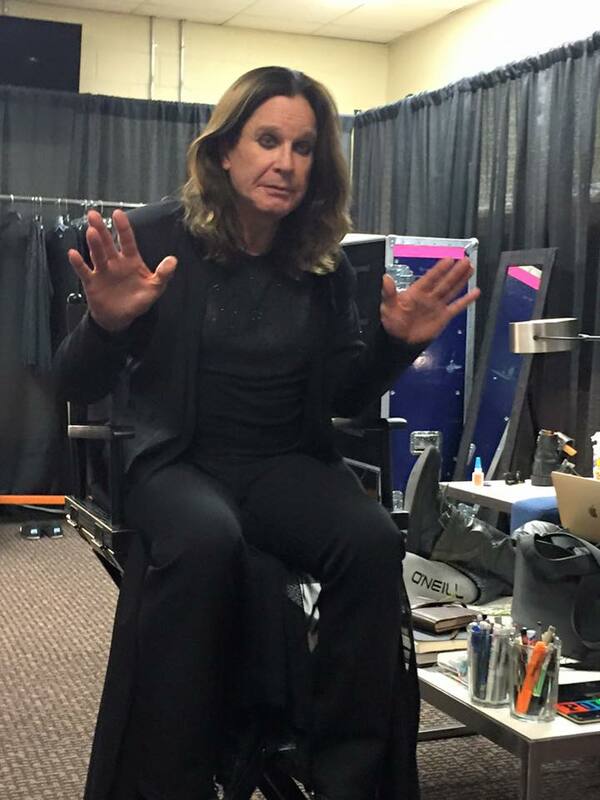 Exclusive interview with Ozzy Osbourne for Fanzmosis. Exclusive Interview with Bill Ward, published in partnership with the Journal Command Rock # 18. 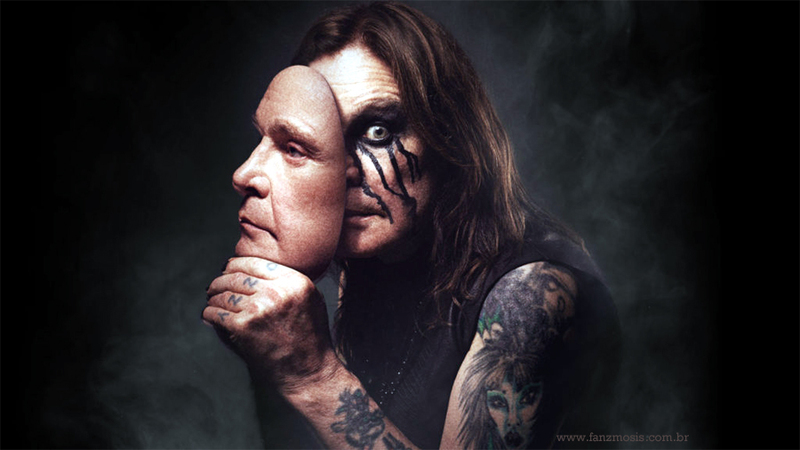 Exclusive interview with Ozzy for Fanzmosis, published in partnership with the Rock Brigade Magazine. 06/05/2002 - 37 n. 11,578 - Jornal da Tarde - Caderno C7 Led by Rosangela Marques - JT / AE. 2000 - Chat with Ozzy Osbourne on ARTISTdirect.com. 1997 - Exclusive interview with Ozzy Osbourne for Fanzmosis. The Ozzman Cometh (1997), Reunion (1998), Down to Earth (2001), Live At Budokan (2002), The Essential Ozzy Osbourne (2003), Under Cover (2005), Black Rain (2007), Scream (2010). 2008 Ozzy Black Rain Brazil Tour - partnerships established with Sony Music RJ - Brazil and T4F. 2011 Ozzy Scream Tour Brazil - partnerships and deals made with Sony Music RJ -Brazil, Rock Brigade, Benvirá and T4F.